Kim Jong Un is slated to meet US President Donald J Trump in Vietnam this month. The North Korean leader is motivated more by a historical agenda than by short-term conflict resolution. Eight months after their historic Singapore summit, US President Donald Trump and North Korean Supreme Leader Kim Jong Un are slated to meet again in late February. The announcement of the second Trump-Kim summit has been met in Washington with much scepticism. Most analysts, critical of the first summit for having concluded with only a vague commitment from North Korea to “work toward complete denuclearization of the Korean peninsula,” but without a concrete plan of action, believe that a second meeting would be little more than a political stunt by the Trump administration to distract from domestic woes. Worse, they fear that President Trump risks being played by a manipulative North Korean leader, who will be able to extract concessions — in the form of relief from sanctions — from the American president. Regardless of what President Trump’s motivations may be, we should try to better understand what is really at stake for North Korea’s leader. North Korea has strategic interests in this dialogue that extend well beyond a short-term relief of sanctions. Kim is seeking to establish a different kind of relationship with the United States, something the regime has tried to do for over three decades. Kim likely hopes the talks will produce results that far outlive disputes over North Korean possession of a nuclear deterrent. 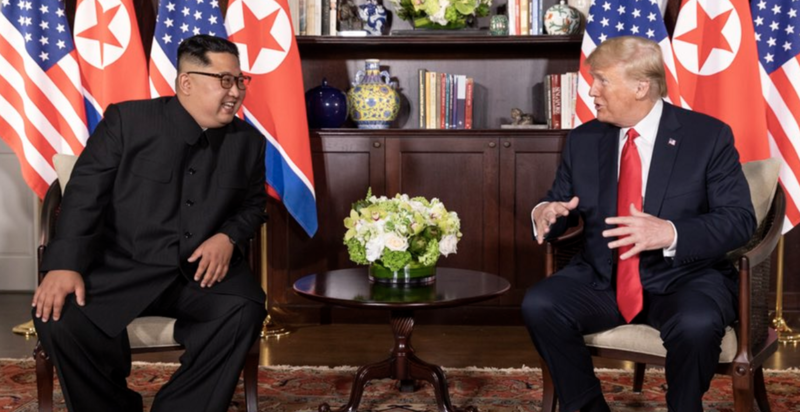 Indeed, he could potentially succeed where his grandfather and father failed by achieving two long-term goals of the regime: reducing the decades-long security threat to North Korea from the United States and, perhaps more importantly, limiting any sense of North Korean dependence on China. Analysts in the United States and elsewhere have long played up the notion that North Korea is deeply dependent on Beijing. Over the years, several commentators have maintained that the most assured method of compelling North Korea to abandon its nuclear brinkmanship is to convince Beijing to rein Pyongyang in. Despite the standard, and sometimes official, narrative of North Korea and China being “as close as lips and teeth,” however, the DPRK in fact resists any intervention by China into North Korean politics as overly interventionist and disrespectful of Korean sovereignty. If China were to attempt to pressure North Korea to abandon its nuclear program, Pyongyang would likely resist and perhaps even harden its stance. Pyongyang’s view of China is one that is deeply informed by its historical relations with its larger “ally.” Overseas analysts often highlight Chinese support for the forces of North Korea’s founding leader Kim Il Sung during the Korean War as the central historical fact that demonstrates the DPRK’s dependence on China. Yet, a lot happened in the intervening seven decades and North Korea’s leaders harbor a profound sense of mistrust toward China. For the first decades of its existence, North Korea operated exclusively within the sphere of the Soviet Union and the People’s Republic of China. However, mutual antagonism between these two larger communist forces often placed Pyongyang into an uncomfortable position. Documents show that Kim Il Sung frequently complained about being needlessly coerced into taking sides in the Sino-Soviet split and feared that the division of the socialist camp was exposing smaller revolutionary countries to threats from “imperialist” nations. From as early as the mid to late 1950s the DPRK began to develop a view of its own national interests that emphasised independence, particularly from powers in its near-abroad. This was in part instigated by incidents involving China. 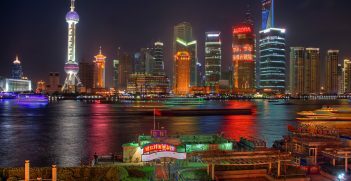 Tensions with Beijing from the 1950s to the 1970s in particular led Pyongyang to view Beijing as a less-than-credible ally and guarantor of North Korean security. These included Chinese intervention in a domestic North Korean dispute over development strategies in 1956, and a decade later, the outbreak of China’s Great Proletarian Cultural Revolution, an event that Kim Il Sung labelled “mass lunacy.” The Cultural Revolution led to a complete collapse in Sino-DPRK relations and even to armed clashes along the border in the vicinity of Baekdu Mountain. Similarly, while North Korea initially supported talks between Beijing and Washington, Pyongyang quickly soured toward the idea after the 1972 Sino-US rapprochement, when the Chinese leadership did not push the Nixon Administration on issues related to the Korean peninsula. 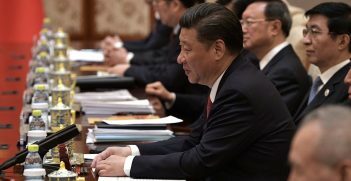 The death knell for the relationship came with Deng Xiaoping’s economic reforms in the late 1970s, which North Korean leaders viewed as a betrayal of the revolution. As a result of North Korea’s challenges with its allies, and in particular with China, the country’s leaders sought to establish direct relations with Washington from the mid-1970s to minimize the security threat posed by the United States and thus North Korean dependence on China and the Soviet Union for protection. Despite the view of North Korea as a nation perpetually antagonistic to the United States, Pyongyang has actively been trying to establish a modus vivendi with Washington for decades. Initially, starting in 1974, North Korea attempted to engage the United States, to no avail. Instead, drawing on lessons from earlier interactions with the United States — such as during the Pueblo incident, a standoff in 1968 when a US intelligence-gathering vessel patrolling near the peninsula was seized by North Korean forces — and assured to some degree that the United States would not launch an attack on the DPRK, given the threat posed by the latter to South Korea, the DPRK resorted to provocative actions in order to attract and hold the attention of Washington. In the short term, North Korean provocation usually worked to attract US attention. But such attention could never really be sustained and certainly never convinced the United States to enter into the long-term interaction that North Korea desired. The United States was a great power with global priorities. Washington remained forever suspicious of the regime’s intentions and saw little intrinsic value in dealing with North Korea on a sustained basis. Nevertheless, establishing an ongoing modus vivendi with the United States remains a priority of the regime, for reasons that have been more or less consistent since the 1970s. Striking a deal on establishing a long-term and sustainable relationship with Washington would represent a major success for North Korea and, by showing that he was able to secure policy priorities that evaded his father and grandfather, it would legitimize the rule of Kim Jong Un. Kim Jong Un recognizes both that he has the opportunity of a lifetime and that the stakes could not be greater for him. Washington and Seoul are for the first time aligned in their willingness to engage Pyongyang. But the North Korean leader also realises that it is an opportunity that may quickly evaporate if Trump loses the 2020 US presidential election. Pyongyang will be pushing hard for an ongoing relationship with the United States, not just to avoid sanctions. Indeed, Pyongyang’s negotiating position emerges out of a historical craving for independence. Trump, meanwhile, has emphasised his ability to build a “lasting and stable” peace regime with the North Korean leader as indicative of his mastery at diplomacy where others have failed. Trump should not only focus on short-term solutions to the nuclear problem but, with a better understanding of the historical forces that have shaped North Korea’s attitude towards the United States, take advantage of the opportunity to strengthen America’s hand on the Korean peninsula and promote reconciliation between Seoul and Pyongyang. Dr James Person teaches Korean Studies at the Johns Hopkins School of Advanced International Studies in Washington, DC. He was the founding director of the Hyundai Motor-Korea Foundation Center for Korean History and Public Policy and coordinator of the North Korea International Documentation Project at the Wilson Center in Washington, DC. 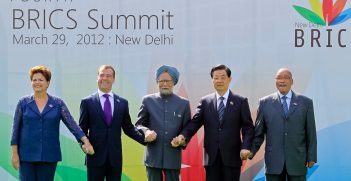 Ahead of the BRICS Summit in China, it's time to assess whether the organisation of emerging powers has lived up to the hype.